The Humboldt-Institut offers highly intensive German courses for executives on a one-to-one basis in Berlin. The highly intensive German courses for executives are geared to students who wish to learn German for professional reasons. As these individuals usually cannot be away from their job for an extended time, our one-to-one intensive courses with 30 or 40 lessons of 45 minutes per week are customized to the specific needs of the students. 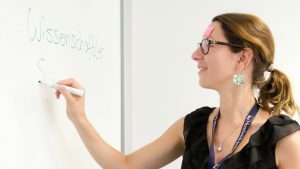 By having an experienced teacher dedicated to just your German language needs, you can make the most of your language-learning time in Germany. The courses are offered in our language school in Berlin-Mitte for all language levels (A1–C2) and can be booked on a weekly basis. 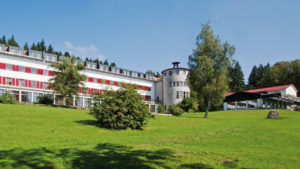 At the Humboldt-Institut international executives receive intensive German lessons and are housed in the school’s residence directly on campus. The unique combination of learning and leisure guarantees a swift language acquisition, as German is spoken not only in the classroom, but also during the meals, the leisure-time activities in the afternoons and evenings, as well as on the weekends. 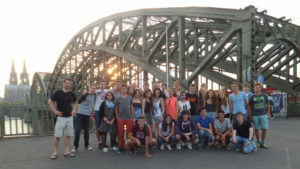 The Humboldt-Institut offers intensive German language courses for children and teenagers in summer and year-round. Children is the term we use for our youngest students between ages 9 and 13. 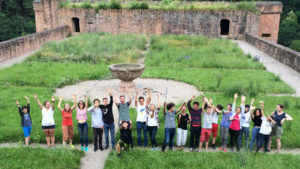 For the summer course in Wittgenstein Castle we welcome students from age 7, whose parents may also take German courses. Teenagers are our students between ages 14 and 18. Our German courses for children and teenagers are offered year-round in Bad Schussenried and Lindenberg. This offers a great variety of starting dates and a flexible course duration. 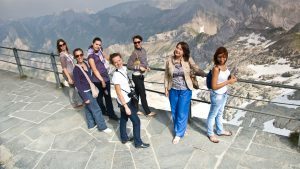 The intensive German courses comprise either 25 lessons (children) and 30 lessons (teenagers) of 45 minutes per week. Classes run from Monday to Friday and cover the areas of listening and reading comprehension, writing skills, speaking skills and grammar. The lessons are especially structured and designed for younger and adolescent students. They are interactive and demanding, very effective and fun! 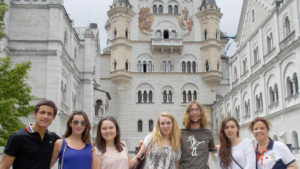 Additional German summer courses are available from June to August in exciting cities like Berlin, Cologne, Düsseldorf, Munich or Vienna as well as in beautiful smaller towns all over Germany. Our students’ safety is always assured — regardless of the course center chosen — through our 24-hour staff supervision. 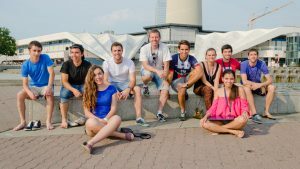 Like the year-round German courses, the summer courses also comprise either 25 or 30 lessons per week and follow the same curriculum. Each summer course has specific starting dates and course durations. 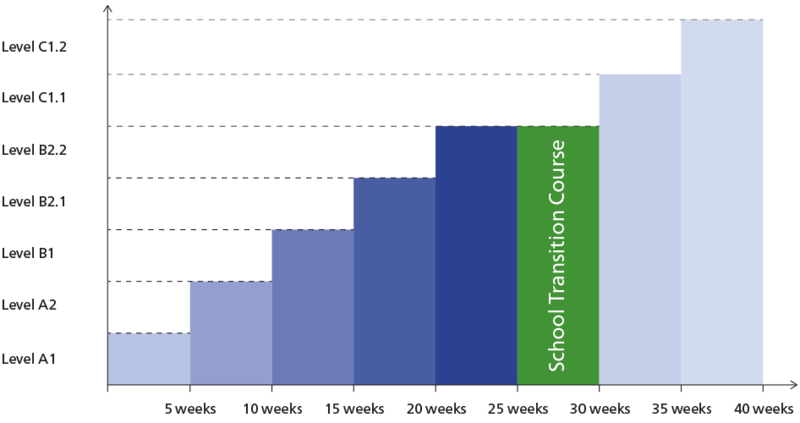 Starting dates and language levels vary by course center. Please select the German course that most suits your needs. In the course centers for children and teenagers we offer intensive German courses with 25 lessons (children) and 30 lessons (teenagers) of 45 minutes per week. The lessons are especially structured and designed for younger and adolescent students. They are interactive and demanding, very effective, and fun! We offer students the opportunity to intensify their German language knowledge by taking highly intensive one-to-one lessons. They can choose to take 25, 30 or 40 lessons of 45 minutes per week. The teacher will focus on the individual needs of the student and will customize lessons according to his or her needs. Taking one-to-one lessons can help students who wish to attain a specific goal in a minimum amount of time or who wish to fill a knowledge gap for participating in a specific language level class. 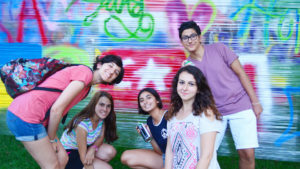 Our “Secondary Education in Germany” program is geared towards highly motivated students ages 10 to 17, and offers them the chance to attend a boarding school in Germany. There the students will study to pass the Abitur, which is the required diploma for university admission in Germany. In order to be admitted to a German boarding school, international students must demonstrate generally above-average academic performance, as well as sufficient knowledge of the German language. This is why our students are asked first of all to attend an intensive German language course with 30 lessons of 45 minutes in Bad Schussenried or Lindenberg. 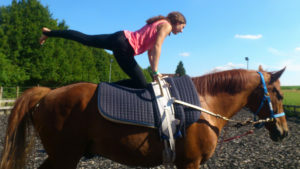 In both schools we offer our students ideal conditions to feel at ease and get used to a life in Germany. Through lessons in small classes they learn the German language quickly and thoroughly. Outside of the classroom the students will receive optimal support and will become acquainted with living in a boarding school community. 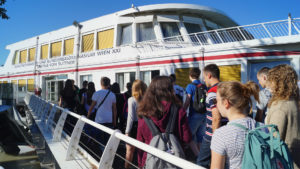 Having successfully completed the German language course, students are then transferred to one of 40 boarding school in Germany and integrated into a class according to their age and performance level. 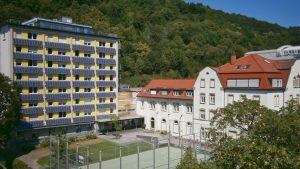 The Humboldt-Institut cooperates with highly respected boarding schools throughout Germany and will gladly help students to find the school that is right for them. 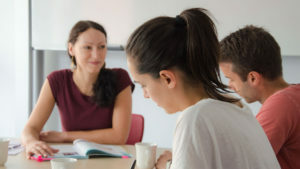 Depending on their prior skill level, students will need from two to eight months to reach the required level of German (at least completion of Humboldt level B2). The Humboldt-Institut divides its courses into six levels based on the Common European Framework for Languages. This graphic shows you the sequence and the levels of the German courses at the Humboldt-Institut. The durations are indicated for an intensive course 30 with 30 lessons per week. Following the regular German language course, we offer our students a five-week school transition course. After this preparatory course they may switch to a German boarding school. Details about our partner schools as well as a thorough overview regarding our program “Secondary Education in Germany” are available in our brochure “Boarding Schools in Germany”. Please feel free to contact us – we will be happy to help you select the right school for you. After successfully completing the Humboldt level B2, our students will be able to continue their secondary education in Germany. There they can complete their high school completion diploma or Abitur, which is the prerequisite for admission to a German university. To ease the transition between our German course and German school attendance, the Humboldt-Institut offers a special school transition course aimed at teaching the terminology and methodology in the most important subject areas taught in school. The school transition course is organized into subject area modules: the natural sciences (mathematics, physics, biology, chemistry) and the humanities (history, politics, geography, religion). Art and music are covered as well. In addition to acquiring important technical vocabulary, students also learn how to summarize texts, work with sources, perform research and give presentations. Role-playing simulation games and project work also teach students how to work in groups. The school transition course can only be booked after successfully passing the Humboldt level B2. Groups are accommodated at our institutes which combine classrooms, leisure facilities and student rooms at one site. Group leaders are accommodated in single rooms. All rooms are equipped with en-suite bathroom. In Lindenberg accommodation in host families is available at select dates and upon request. In general, classes run from Monday to Friday and cover the areas of listening and reading comprehension, writing skills, speaking skills and grammar. In addition, our teachers are happy to include specific topics such as exam preparation. On request we also offer individual dates for the telc examination of different levels (A1 – C1) to groups. Extracurricular activities allow our students to practice what they have learned in the classroom. Every day after class, as well as on the weekends students get to choose activities from our versatile leisure program, including sports, arts and crafts, and cultural experiences. This boosts their motivation, promotes tolerance and ensures fun in learning the German language. 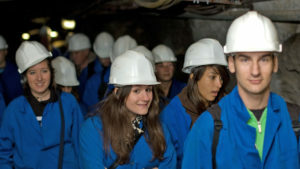 Furthermore, half-day excursions take place every Wednesday and a full-day excursion every Saturday. As a special highlight we also offer skiing and snowboarding courses for a surcharge at our course location in Lindenberg during winter. Groups with a course duration of one week arrive on Sunday and depart on Sunday. Groups with a course duration of two weeks and more arrive on Sunday and depart on Saturday. 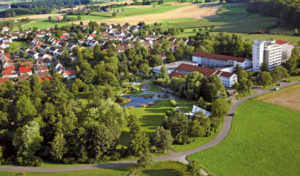 We are happy to send you a detailed offer for a mini-stay in Germany. Should you be interested in staying at one of our summer course locations or have an inquiry in regards to special funded programs (e.g. PON programs from Italy), please let us know and we will provide you with an adequate offer. A good working knowledge of German is often not enough. Sometimes a university or an employer wants proof of these skills. This is why the Humboldt-Institut offers several official, internationally recognized exams, among them the TestDaF, TestAS and telc Deutsch A1 to C1 Hochschule. The TestDaF exams can be taken in our course centers in Berlin-Mitte and Constance, the TestAS in Berlin-Mitte. The telc exams are offered in Berlin-Mitte, Constance and Bad Schussenried. The Berlin-Mitte and Constance schools are both certified as competence centers for the telc Hochschule exam. The registration deadline for telc exams is 23 days before the exam date. Later registrations will only be accepted upon agreement and for an additional fee of EUR 14,-. A good working knowledge of German is often not enough. Sometimes a university or an employer wants proof of these skills. This is why the Humboldt-Institut offers several official, internationally recognized exams, among them the TestDaF, TestAS and telc Deutsch A1 to C1. The TestDaF exams can be taken in our course centers in Berlin-Mitte and Constance, the TestAS in Berlin-Mitte. The telc exams are offered in Berlin-Mitte, Constance and Bad Schussenried. Die telc GmbH (The European Language Certificates) is an internationally recognized testing company. The telc language certificates are based on the Common European Framework of Reference for Languages, making them internationally comparable and thus improving students’ educational and professional opportunities. 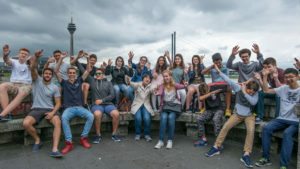 Through these general language exams, students can prove how well they master the German language in daily situations, such as trips, leisure activities or at work. The telc Deutsch A1 Junior exam is geared towards our youngest learners ages 10 to 13. The test — with its child-friendly format — does not take long to complete, uses simple, easy-to-understand tasks and pictures, and is tailored especially to the cognitive abilities of young students. The telc Deutsch A2 Schule and telc Deutsch B1 Schule exams are German language tests especially designed for younger learners. The Schule exams are equivalent to the more general telc exams, yet cover subjects applicable to the knowledge and lives of young students ages 10 to 17, such as their leisure time, friends, school, experiences abroad, etc. A telc exam allows young people to demonstrate not only their German language skills, but also their commitment, interest and determination. The telc Deutsch B1 exam is suited for students with a basic knowledge of German. This exam is a recognized proof of sufficient knowledge of German for naturalization in Germany. The telc Deutsch B2 exam tests general German language skills at an advanced level. Both tests can be used to verify German language knowledge in work or professional settings. 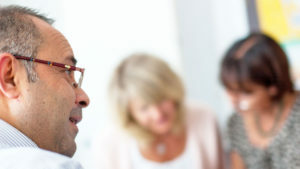 The telc Deutsch C1 Hochschule also provides important evidence of language ability for anyone who wants to do research in Germany or wants to document language skills at an advanced level. For the telc Deutsch C1 Hochschule you may enroll directly through the Humboldt-Institut. TestAS is a central standardized scholastic aptitude test for foreign university students. The TestAS (Test für Ausländische Studierende, Test for Academic Studies) consists of an online language test, a core test and four subject-specific test modules: a humanities, cultural studies and social sciences module; a mathematics, computer science and natural sciences module; an engineering module; and an economics module. TestAS results enable applicants from non-EU countries to realistically assess their chances of successfully completing their studies at a German university. The TestAS is offered in our course center in Berlin-Mitte and can only be booked via the TestAS website.